Patti Anklam is an independent consultant with expertise in collaboration practices, social network analysis, value network analysis,and knowledge management systems strategy and architecture. Patti has experience and expertise that encompasses people, process, and technology and likes to work with organizations who are adopting collaborative processes and a networked approach to business. Before becoming an independent consultant, Patti held key knowledge management positions at Nortel Networks and Digital Equipment Corporation (now HP). At Nortel Networks, she was Director of Knowledge Management for the Global Professional Services organization. 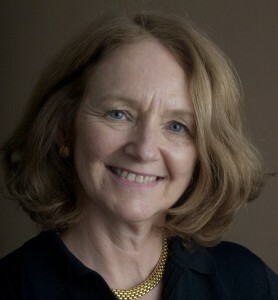 During her career at Nortel, she developed a practice in social network analysis in conjunction with researchers from the Institute for Knowledge Management; instituted communities of practice for worldwide expertise groups; and oversaw the information architecture and technology infrastructure development for KM practices. As an independent consultant, Patti has worked with and learned from the leaders in the field of organizational network analysis and value network analysis. Her corporate clients include a biopharmaceutical firm, an international telecommunications provider, a US government research and development firm, an eLearning solution development company, a financial services firm, and a global telecommunications firm. Nonprofit clients include work in conservation, climate change, and rural poverty. In addition to her practice in network analysis, Patti also supports companies who are implementing social and collaborative software platforms. She helps to identify lead users and requirements for collaboration, helps to set up a pilot environment and processes, and works with IS groups on development of policies and procedures. At the same time, she works with community coordinators and leaders to develop social norms and practices to guide the organizational change efforts needed. She is a recognized leader in the field of social network analysis for knowledge management, and is a frequent speaker and writer on the topic.